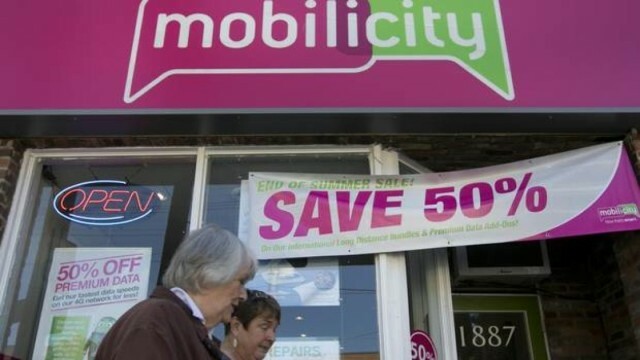 Mobilicity has accepted an offer from Rogers Communications Inc. and plans to seek court approval of the sale, according to sources. According to sources, Mobilicity will take the agreement to court on Wednesday morning, as the wireless startup is currently under creditor protection. The accepted offer will include a deal that will transfer some wireless spectrum to WIND Mobile, to appease Ottawa’s wireless competition rules. Last week, it was reported both TELUS and Rogers were in the running to acquire Mobilicity, with the latter yesterday considering bids worth a reported $300 million, but also to keep the company operational as a Mobile Virtual Network Operator (MVNO). What makes this really interesting is the idea to transfer some wireless spectrum WIND was an idea TELUS made public last week, but now it appears Rogers may have negotiated a better deal but also borrowed the idea. Many may recall Rogers acquired Fido back in the fall of 2004. Looks like Mobilicity is the next wireless entrant the incumbent has swallowed up, which if approved, will also mark a change in the federal government’s wireless policy. Previously, TELUS was denied numerous times by Industry Canada to acquire Mobilicity, as the federal government cited they would not approve any spectrum transfers that resulted in “undue concentration”. However, TELUS was able to acquire wireless entrant Public Mobile in fall of 2013, as the latter’s G-band spectrum was not part of the more valuable set-aside AWS spectrum (used by WIND and Mobilicity) in the 2008 wireless auction. Rogers Communications Inc. has the makings of a deal to acquire small Canadian wireless carrier Mobilicity, but sources say a court battle could be shaping up because Telus Corp. is willing to pay “significantly” more than its telco rival for Mobilicity.